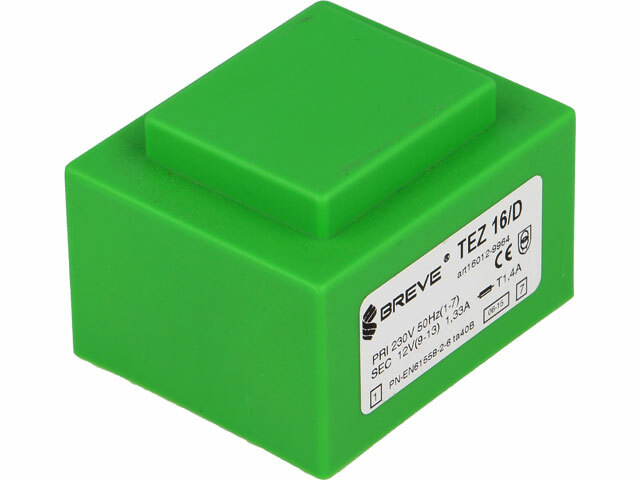 TEZ16/D/12V transformers for printed circuit boards are designed for power supply circuitry of electronic devices. They are characterised by small dimensions, compact build and increased mechanical durability and resilience to climate factors (cast resin). Transformers are made at IP00 ingress protection class, and they are encapsulated in tight enclosures. They are designed to operate at ambient temperature of up to 40°C. Insulating materials provide electrical strength of 4kV.